Positivus Festival is set to announce the festival's first acts on February 9. Baltic's biggest music event will be taking place from July 17th - 19th in Salacgrīva, for the ninth consecutive year. Currently, a 3 day ticket without camping costs EUR 60,00 and a 3 day ticket with camping costs EUR 66,00, with prices set to increase after the announcement on February 9. Positivus Festival is one of the most anticipated events of the year, attracting not only music enthusiasts, but also great crowds of summertime vacationers. Apart from performances of popular foreign and Latvian acts, the arts and crafts market, cinema, several catering areas, improvisation theatre performances and literature readings, Positivus Festival is the annual host of many other exciting activities. The 2014. 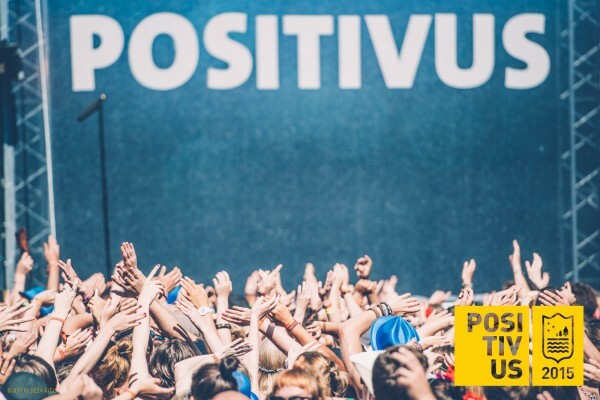 Positivus gathered the biggest number of foreign visitors in its history - nearly 9000, including guests not only from the Baltics and Scandinavia, but also Germany, United Kingdom, Italy, The Netherlands and even other continents. During the three day event, the eight festival stages hosted more than 100 artists including world renowned artists such as Kraftwerk, The Kooks, Ellie Goulding, King Charles, Elbow, Future Islands, Bastille, Temples, The 1975 and many more. Currently, a 3 day ticket without camping costs EUR 60,00 and a 3 day ticket with camping costs EUR 66,00. From Monday, February 9, ticket prices are set to increase- a 3 day ticket without camping will cost EUR 65,00 and a 3 day ticket with camping costs EUR 71,00. Tickets are available at www.positivusfestival.com, in all Biļešu Serviss box offices and Nordea ATM’s (in Latvia only).